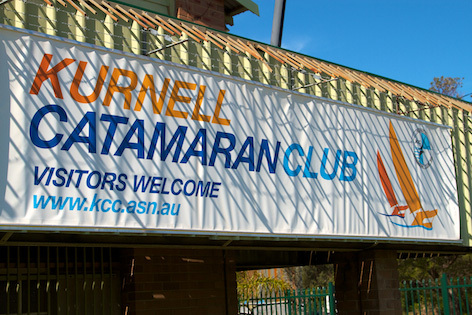 acebook Users - Don't forget to "Like" KCC - Show your support for the Club and catamaran or sailing generally by clicking above! KCC Presentation Night for 2018-2019 season - Read on! The presentation night is Saturday the 25th of May 2019 at Gymea Bowls, Bay View Terrace, 691 – 699 The Kingsway, Gymea. A la carte meals from 5.30pm, Presentation @ 7pm. Expressions of interest and to let us (Craig) know you are coming click here! KCC 2019 Mega Multi Regatta Cancelled - KCC regrets that we have had to cancel the Mega Multi Regatta for Cruising Multihulls that was scheduled for Easter 2019. We apologise for any inconvenience. 2018-19 Learn to windsurf at Kurnell! Don’t miss out numbers are limited 8-10 places only. The courses start at 8.45am on Sundays - pick any 4 Sundays out of 5 so you can miss a week if you need to. Click here for more information! KCC 2018-2019 Sailing Instructions, Race Calendar and Duty Roster are online! Click the buttons above to explore further. Weather Widget - Apologies our Seabreeze Weather widget that used to be on the right hand side of our KCC home page has been discontinued by Seabreeze. We will investigate alternatives. In the meantime try our Weather Windows page. New Racing Rules of Sailing adopted. KCC is using the 2017-2020 RRS. Click here to see the new RRS. Do you want to see all of a previous years racing results? Go to our Race Results page and under "Additional Resources" on the right hand side of the page you can click a particular years archived race results stored in PDF format. Detailed results go back to the 1999-2000 season, before that, major results are stored on our Honour Board page. Need to know more about KCC? 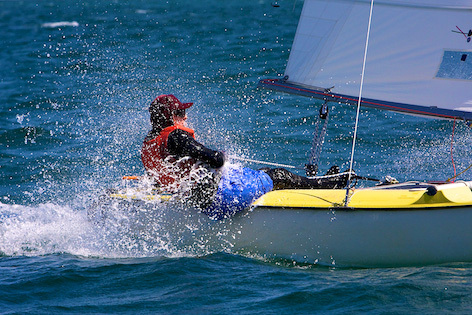 Even long term members of the KCC should peruse the FAQ section of KCC regularly for the latest information pertaining to sailing at the Club. Click here! Are you under 16 years of age and want to try sailing? Juniors commence sailing in October. Come along one Sunday morning and speak to our Junior Representative about sailing in the Junior Division at KCC in the Open BIC class of boat. What a great introductory boat to kick off before graduating down the track to the fast multihulls! Click here or the Juniors button for more information! On Rostered Duty - don't know what to do? - read on! If you have been rostered on duty and don't know what is expected of you, read up on your duties as Officer of the Day/Canteen Duties/Timekeeper, Boat Captain or Boat Crew. The Duty Roster shows when you are rostered and has links to the descriptions of your duties. Remember "Officer of the Day" also performs Timekeeper and Canteen Staff duties unless he/she can garner some assistance from someone else and in any case is still responsible for the tasks. Yes it is a busy day and sometimes a thankless job, but if all our members do their duties to their best ability, it makes for a smoother and more enjoyable day for those sailing. After all, you wouldn't want to finish a race and find that the times hadn't been taken, the showers were cold or there is no canteen open would you? So please read up on the tasks you must perform and fill out your preferred duty dates on your membership form when renewing or to get in early, email the Vice President your preferred dates and we'll try and accomodate you! Finally, remember if there is no Officer of the Day or no Boat Captain/Crew then there is no racing - so don't let your mates down!